FEEDBACK: They loved it! 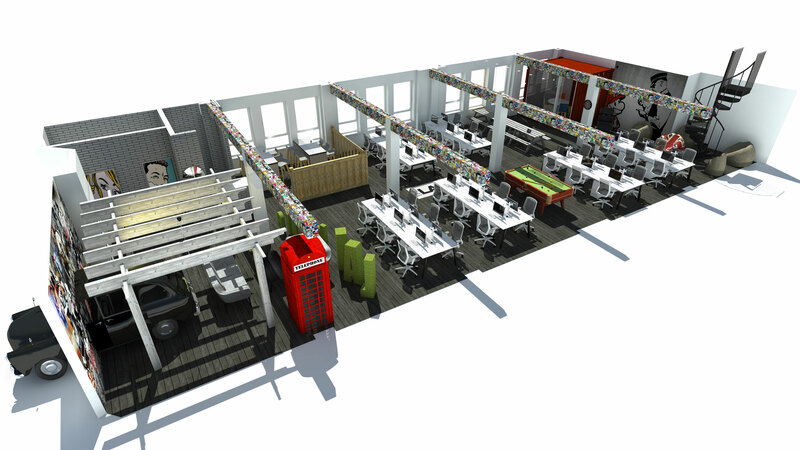 After our discussions, the final design allows for a modern office which is economical with space, full of colour and maximised for productivity. As a multidisciplinary, creative design firm, Idea Couture wanted to work within an environment that fosters ideas and utilises space effectively for their team of designers, engineers, anthropologists, sociologists and strategists, based in Hoxton. 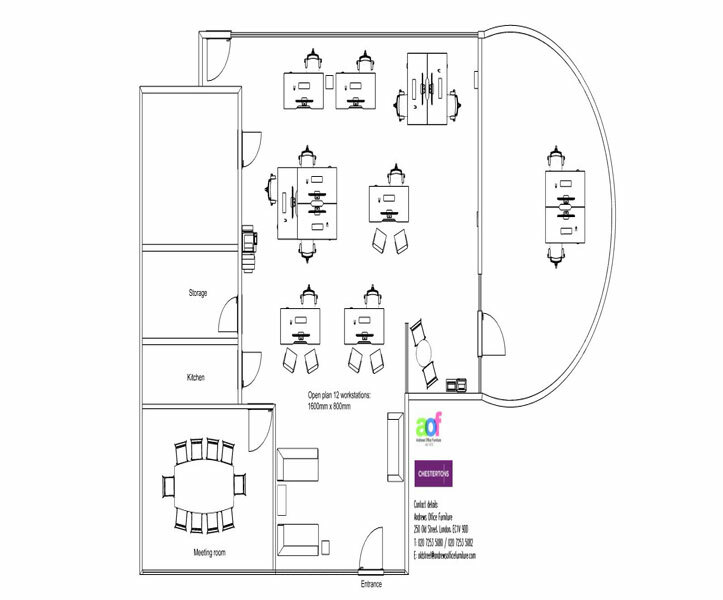 We met with the client on site at their offices, listened to their requirements and produced free detailed workspace plans using our CAD program for them to consider, with Idea Couture's long term needs and objectives in mind. 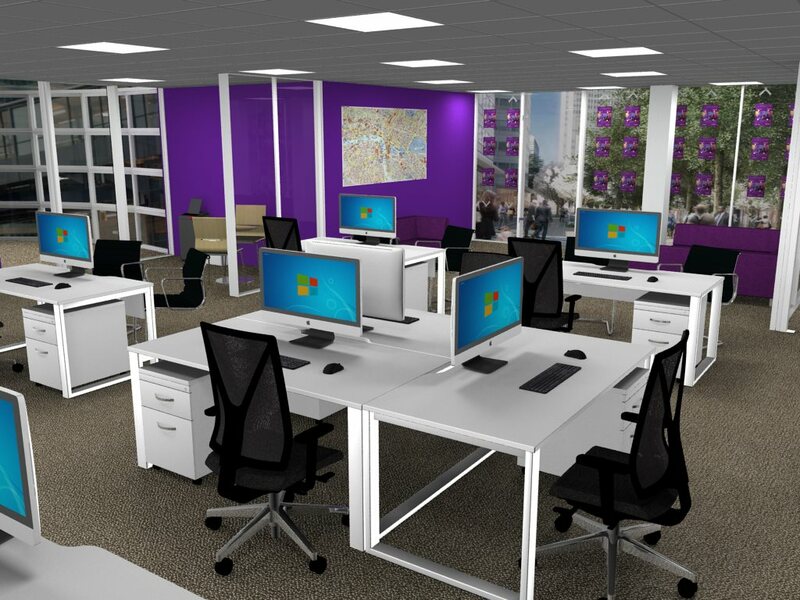 After our discussion, they decided on a large office space with our range of Next Day 'A' Frame bench desks with Next Day Unite Slimline 3 Drawer Pedestals for space saving, under desk storage. As the cross-pollination of ideas is key to their work, we utilised our range of Next Day Unite 2, 4, 6 and 8 person desks to help foster collaboration between employees, while allowing for privacy too using our desk mounted office screens along the middle of their desks. Away from the main office, they emphasised that they wanted another space for group discussions, so we designed an area to accommodate this featuring a Next Day Unite Bench Desk with Pole Legs and our meeting chairs, coupled with a Vancouver Lite Large 2 seater Sofa. This allowed the meeting space to double as a more informal, relaxed part of the office ideal for tea breaks and winding down after a long day. 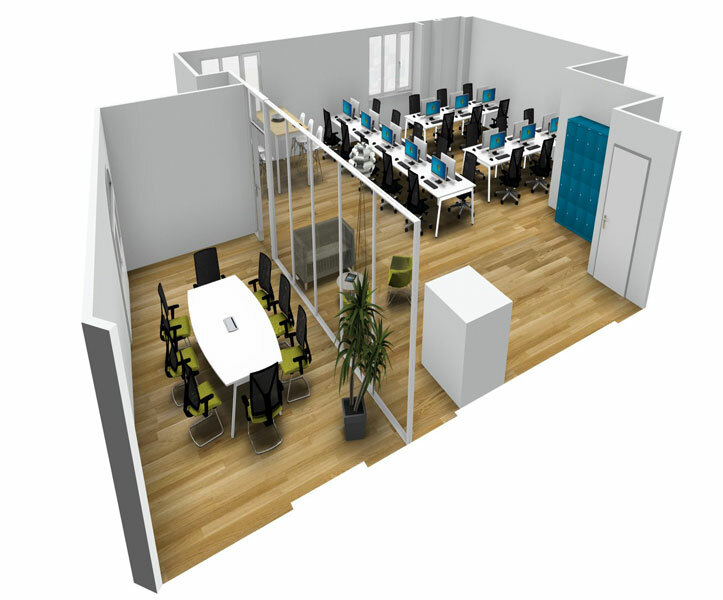 When their layout and design were finalised, our experienced, skilled fitters delivered and installed the complete office fit absolutely free, ready for their employees to utilise and enjoy. FEEDBACK: Very Happy with the work space created for them! 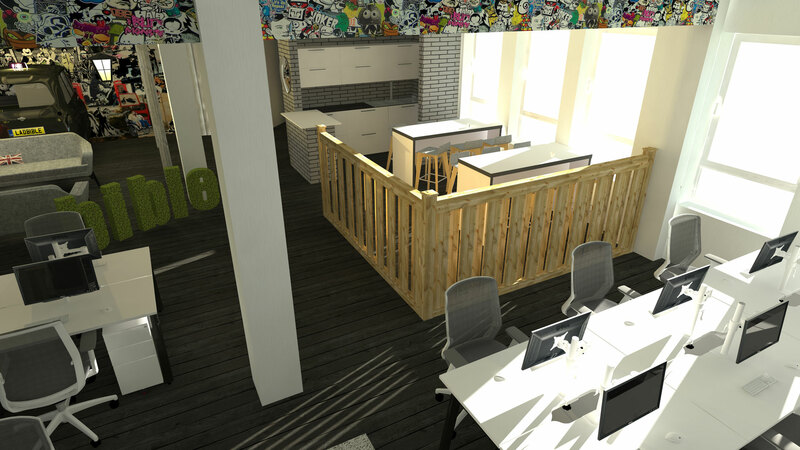 Reflecting Idea Couture's ethos and philosophy, the final office design is open, versatile and emphasises the importance of team collaboration, creatively utilising the space and allowing the entire office to flow freely as one. 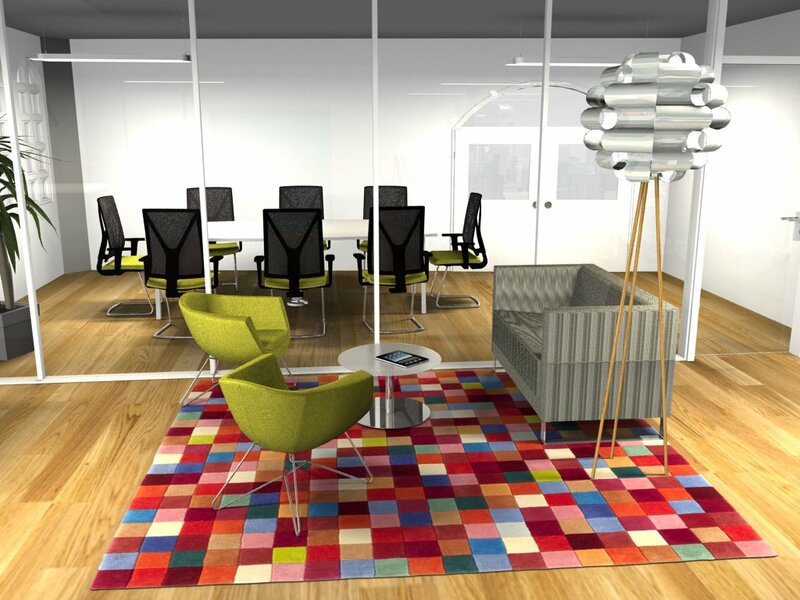 An internationally known and respected property specialist, with over 250 offices worldwide, Chestertons were looking for a highly functional office space which also had an elegant, contemporary feel. Meeting with the client at their office for a free consultation, we discussed their ideas and needs, taking into consideration the nature of their work for effective workspace design. 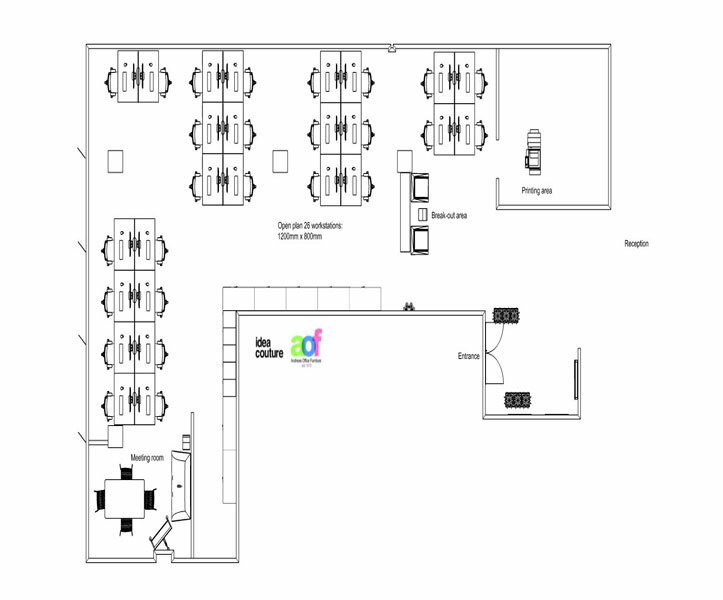 Following on from this, once key points had been finalised and addressed, we produced for them a free Computer Aided Design (CAD) detailing the complete layout. 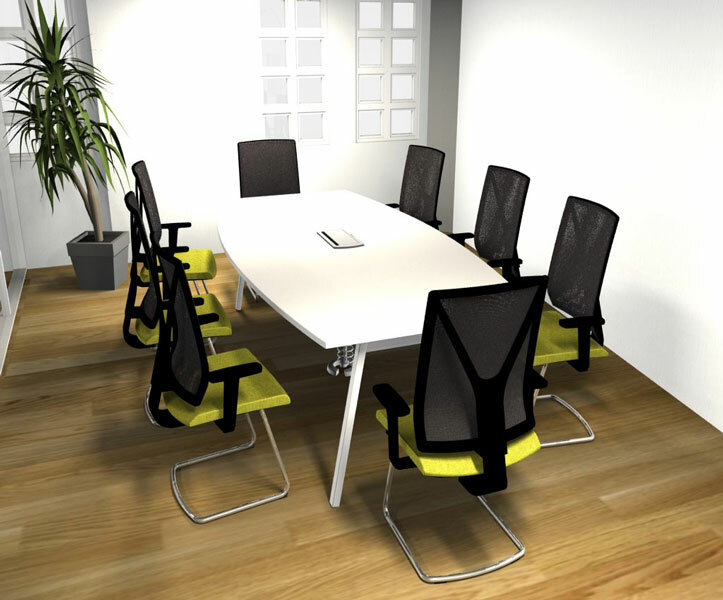 They decided on a versatile range of furniture, allowing for both employee and client comfort. Our range of Next Day Unite Bench Desks with Square Legs were chosen, coupled with Next Day Unite 2 Drawer Wood Mobile Pedestals for storage options which save space around the office, especially important for Chestertons in their busy working environment. On either side of the desk in the main room, Profim office and visitor chairs were utilised, as well as a selection of our Profim meeting chairs around a barrel shaped boardroom table in their meeting room. 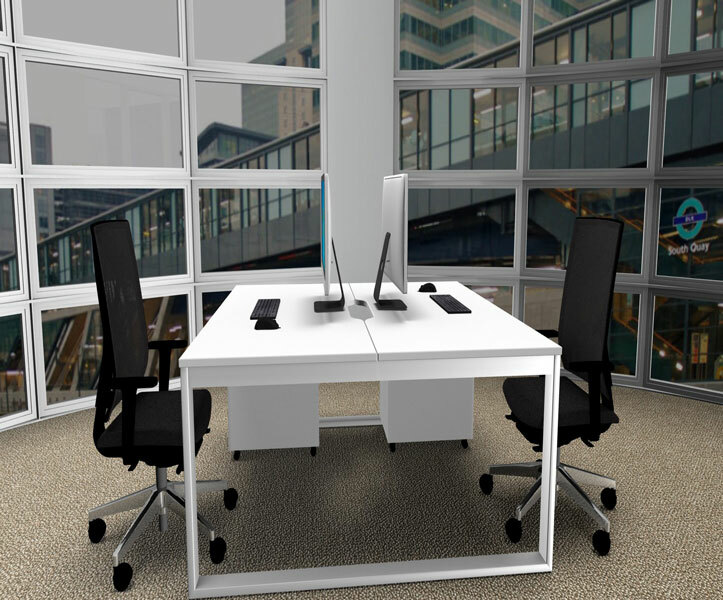 Although the focus is on the central office, a more private room for employees is set off to the side containing a Next Day Unite 2 Person Bench Desk. The feel is one of professional informality which is welcoming to customers, offering seats at the desk as well as our visitor chairs and round meeting table off to one side, ideal for a private client discussion. Although the workspace is a busy one, the overall layout means that it isn't a cluttered or crowded one. When Chestertons had chosen their layout, our friendly fitters arrived to install and arrange the office for their team at no extra cost. FEEDBACK: They were delighted with their newly installed modern office space. Bringing together a huge collection of the latest news stories, viral videos and photos from around the world, The LAD Bible is the UK's largest entertainment website. 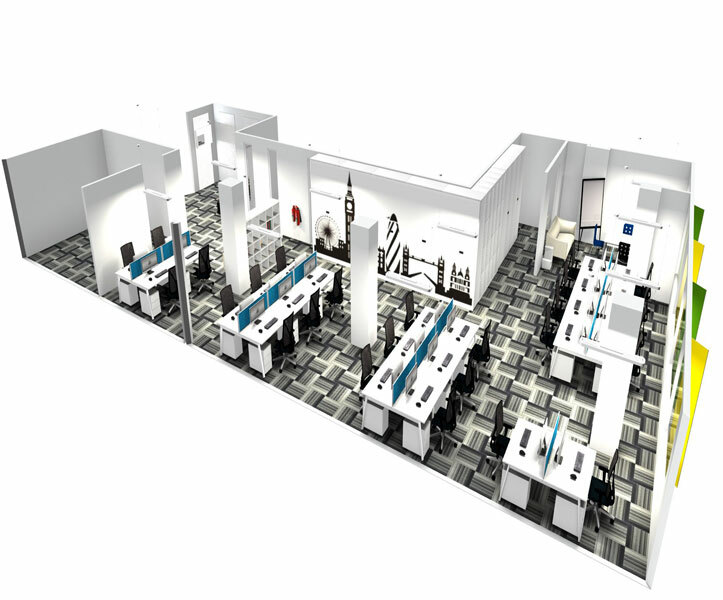 Based in London, they recently commissioned Andrews Office Furniture to plan and fit their third floor office. 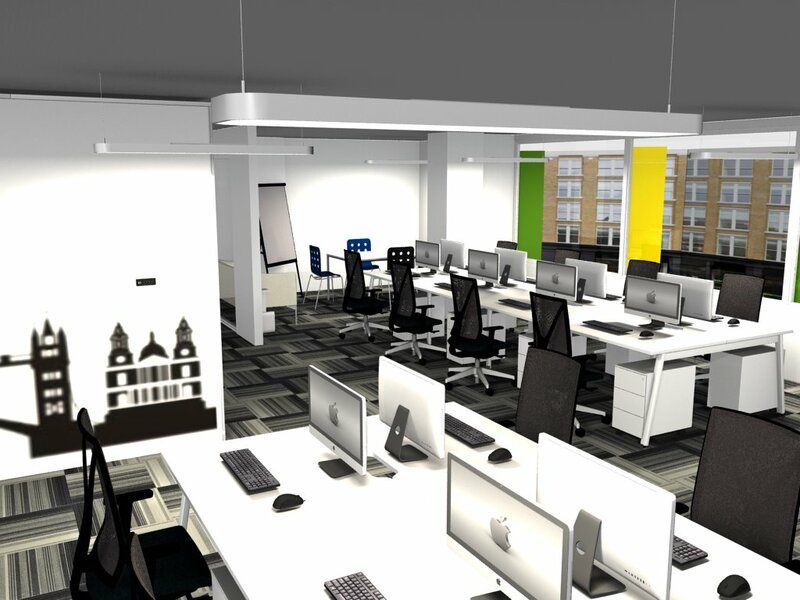 After a free office space planning consultation with Andrews Office Furniture, the LAD Bible's preferences and requirements for their new workspace were established. 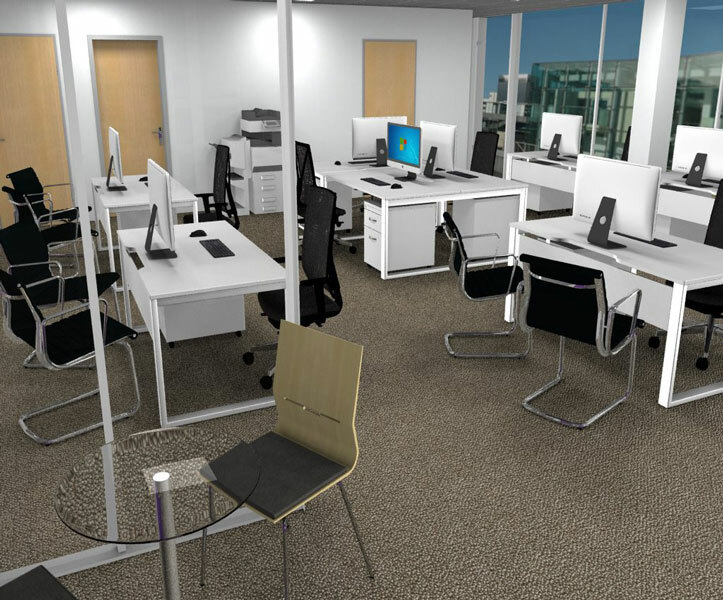 Following this, detailed 3D CAD (Computer-aided design) plans were created by our in-house CAD technician to provide an in-depth picture of the overall office layout and the furniture selection, which would be installed by our experienced in-house fitters. 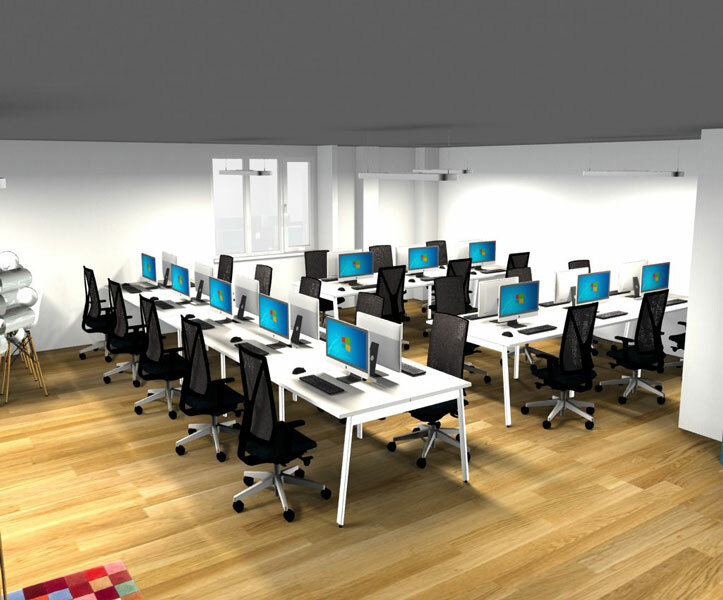 To help maintain the fun, energetic feel of the office area while maximising the space, the decision was made to use our Bank of 8 White Bench Desks with A Frame Legs, which allow multiple users to work alongside each other, as well as having handy portholes for cable management and monitor arms, too, creating dynamic workstations which allow for hot desking if needed. Complimenting the desks, the office chairs selected were the Bestuhl J1 Mesh Task Chairs in White & Grey, matching the desk colour while providing a comfortable ergonomic office chair that can be easily adjusted to suit the user's personal requirements; a key feature in their busy, multi-user office area. 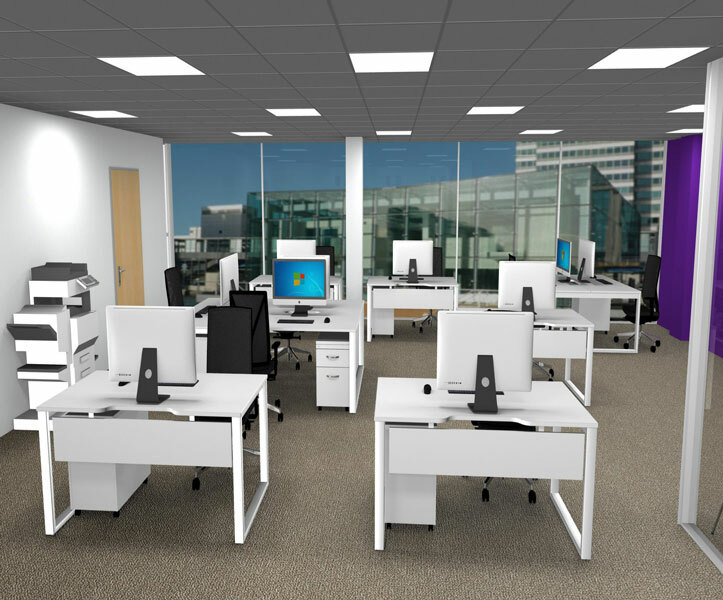 The choice was also made to utilise the Bisley Note Three Drawer Mobile Pedestal in White at each workstation, saving floorspace and providing lockable under desk storage for their employees, creating a more organised and efficient working environment for all. 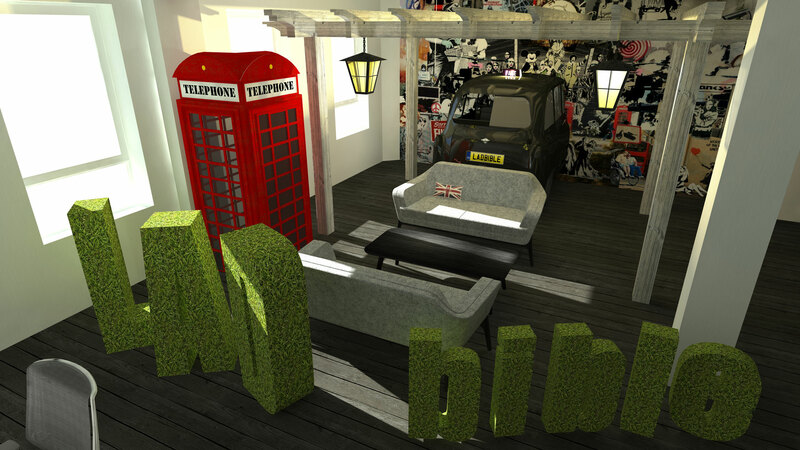 As with many modern offices now, The LAD Bible team wanted the right balance between work and play, which as well as pool tables and garden benches, meant areas to relax in. At one end of the office area, it was decided to have some soft reception sofas for a comfortable wind down area, as well as an enclosed breakfast bar for an informal dining spot, complete with high dining chairs. 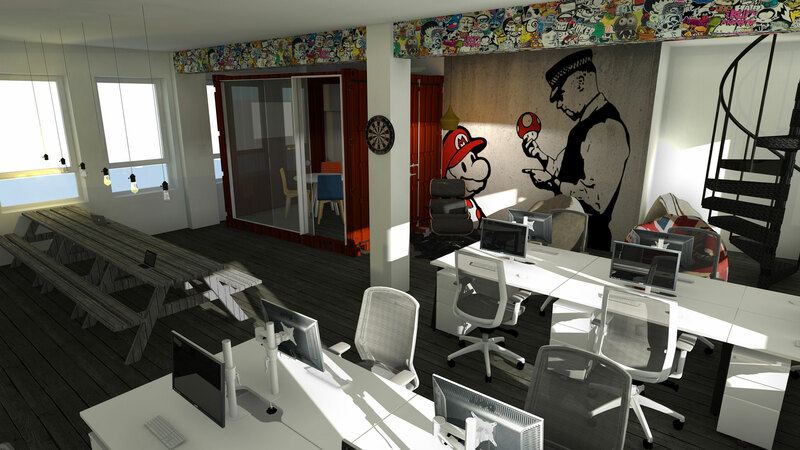 FEEDBACK: The end result is a contemporary office space which combines economical, functional design with a fun sense of play, which compliments and connects strongly with The LAD Bible's ethos.